As spectators of the current Rio 2016 Olympics, we’re again being amazed by elite athletes with record-breaking performances. 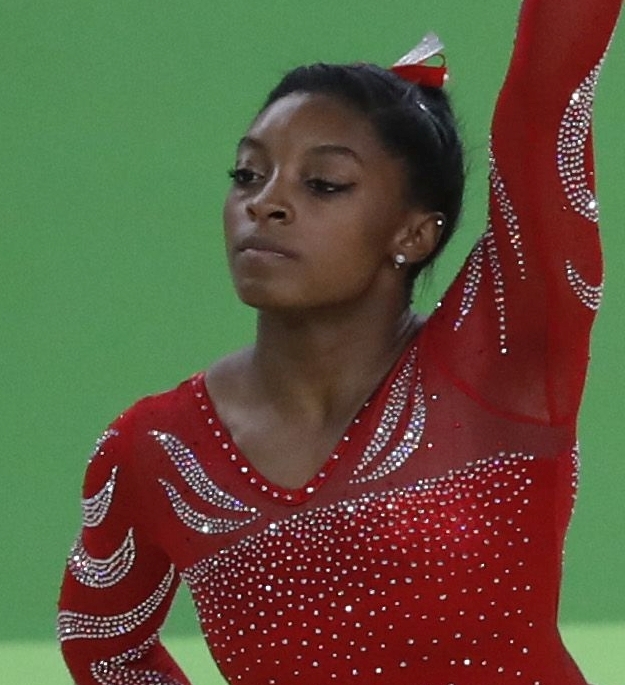 Of special interest has been the gymnastic performance of nineteen-year-old Simone Biles. Her performances have been breathtaking in their execution and perfection. Prior to entering the Olympics, Biles was already a three-time World Champion and brain scientists were quick to analyze her seemingly unique motor coordination. The neuroscientist, Thomas Jessell, is the co-director of the Columbia University’s Mortimer B. Zuckerman Mind Brain Behavior Institute. He suggests that elite athletes like Biles and Michael Jordan may have a birth advantage of “… a slightly better-wired motor system” and their brain plasticity becomes more refined with training. All of us have the quality of brain plasticity. It means that one’s neural connections and structures are not fixed but are able to change, for the most part, throughout one’s life. Changes can occur in the connection between neurons or within neurons themselves. It means we may gain greater skills in certain areas due to new learning and repetition. In elite athletes, it’s thought various types of physical and cognitive visual training affect brain plasticity and subsequent performance. Research shows strong neural connections between the brain cortex and the spinal cord, and more efficient integration of different brain areas for better sensory and motor function. According to Jessell, who has studied body movement for over 30 years, Biles’ brain moves through 5 stages to create her performance agility. As entrepreneurs, we can take these same 5 stages and apply them to our own business brain performance without having to do any of these gymnastic gyrations. Simone is attentive to her sensory feedback system. Neurons are sending messages from muscle fibers as to what is happening as she moves her arms and legs. This helps her to know where she is in space and to coordinate the next body movement. This is where physical contact is made with the structure she will be interacting with i.e., the balance beam. Sensory messages from her hands will reach the interneurons in her spinal cord. They in turn will relay to muscle fibers. This sensory network acts to control the desired muscles for maximum performance. It’s the same for each entrepreneur. We want to be in control of our business for maximum performance. In order to do so, we need to stay in touch with our mission statement, business goals, and brand identity. This allows us to guide and control our business as we originally intended rather than being distracted by all the bright and shiny objects that come our way. When Simone’s body leaves the beam, her body enters a specific pattern of movement. As she does so, her brain is monitoring for body coordination and balance. When her body is moving through space, awareness of balance comes primarily from the fluid filled tubes of the inner ear. Balance among the different parts of a business is important for entrepreneurs as well. Monitoring tools can make sure all parts are supporting one another and progress is being made in the intended direction. They include checklists, scheduled assessments or coaching reviews. Results are immediate indicators if you’re in or out-of-balance in your business. This means when Simone is getting ready to land, her eyes movements (tracking) are conveying information to her visual cortex. This info is then coordinated with muscle movement to land in the intended manner and place. As entrepreneurs, it’s our intent to land at the points we’ve set as our goals. Therefore, as we move through the different part of our business, it’s important for us to keep our eye on the goal and make sure our efforts are taking us in that direction. When Simone is progressing through her performance her inner guidance system, the fluid-filled tubes of her inner ear, is making minute and instantaneous adjustments to keep her on track and in balance. Entrepreneurs also need a corrective guidance system. As with any business, things do not always go smoothly or as expected. By having a plan or strategy for dealing with potential problems it allows for course corrections sooner than later. We need a feedback system so we can be effective in our next business move. In order to be in control, we need to stay in touch with our original business intentions. If we want to land at our intended goal. We need to keep an eye on our efforts to get us there. We need a plan or strategy to course correct for any potential problems. Is there anything you observed from athletic performances that you could apply to your business? Nice article…often in sports it’s a lot about mental focus, strategy and to never give up, but to try from new and different angles. And those traits are often good for business too. Excellent points all. I definitely need to do some more thinking about my own business, where I want to go with it and how to get there from here. Well, it’s always good to do a re-assessment and see if you need to change tactics. If so, it’s better to change course earlier than later. Tenacity. Yes, each athlete has tenacity and I know without a doubt that I need tenacity every single day. Great job on connecting Olympic athletes with business performance. I like that you are going to focus on tenacity, Sue. I think if we had to train like an Olympian to be in business, a lot of us would find another occupation. Luckily, we can all grown, work and build our strengths at a less intense pace. However, if we pay attention, they sure have a lot to teach us. Thanks, Joan. Happy to hear you enjoyed the post. Wonderful analogy, that this non-athletic person, would have never made, Joyce! Some of the things I continued thinking while watching the athletes during the Olympics, was how committed and passionate they have to be to even put the time and energy into perfecting their skills. I also was left wondering “why gymnastics?” or “why swimming?” as their sport of choice. I also was curious about the team of people they have supporting them. From their parents (who have to be willing to drive them to the pool or the gym), to their other family members, to their coaches. Also the sacrifices they make to excel. Giving up friendships and school events etc., so that they can practice. That’s where my brain went while watching these exceptional athletes. Perhaps more of the big picture view from here. It’s true Beverley, all the accolades are on the medal winners. It’s like in the entertainment business of being an overnight success. The hours of training and support needed for years to even get to this point are hard to conceive of. But, the people do it need to be applauded for reaching a level just to be there. That kind of training, endurance, and stamina I’m sure will be carried over into another endeavors. Thanks for giving so much thought to this and commenting. The concept of brain plasticity is very interesting to me. She made the performances look so easy but as we know it must be the result of countless practices and fails. Your five points are really the golden rules for successful business. We still have a lot to learn about brain plasticity. The athletic performances are providing a powerful visual of what is possible. Maybe one day there will be an olympian training program of sorts for business men and women. In the meantime, it’s back to practicing how to do things better. What a GREAT analogy and the other thing I thought of was that when she didn’t KILL it on the beam… she didn’t show her disgust or any ill well to other gymnasts and still gave peps to her team mates.. she is a great sport! Right Kristen, how you deal with failure says lots about how you deal with success. Great comparison and list between olympic athlete and entrepreneurs. I am on my way to bigger success and who knows maybe even win a medal some day! Sure enough Theresa, I’m sure there’s more than one medal in your future. It’s really amazing what we can learn from the body! I think that why we’re coming round to the idea of a mind-body connection and how it affects our health and our performance. I loved making the comparison, Audrey. Sometimes when we come at something from a different perspective is makes so much more sense. This was such a delightful post, and terrific way to bring home business concepts. The one more huge asset for Simone Biles and for any entrepreneur is a positive outlook! As you know Reba, sometimes when there’s talk about a role model we look to someone in our own profession. Having the opportunity to learn from someone outside our field can give us a new perspective. Thanks for commenting. This was such a clever article, Joyce. It was brilliant how you related the brain process used by elite athletes to growing your own business. I find the information about brain plasticity really fascinating. To answer your question, the dedication, focus, and determination those athletes have make them almost unstoppable, so imagine how far these traits could take a business. Yes, your absolute right Tami. Everyone’s brain can improve and Olympians prove this to us time and time again. Great article and Brain Plasticity is a definately avaliable the research shows that we can change the way our brain processes information. In my studies and client’s there is evidence in many aspects of brain plasticity and how we can change the pathyways to our brians and make new ones. This is an exciting field. Thanks for sharing a wonderful article. The discovery of brain plasticity has changed everything about how we think the brain thinks and operates. Knowing that we have untapped potentials opens up a whole new world for all of us. Thanks for commenting Lori. Very interesting insight into how entrepreneurs can translate her successful tactics & actions to their business. Agility & adaptability are also key components for athletes & entrepreneurs alike… especially for course correction. Thanks for adding the part about agility and adaptability, Betty. Overall, I tried to stick to the most important aspects that relate to entrepreneurship. There are so many other things like health, stamina, endurance and clear thinking that are just as important. This SO tweaked me, Joyce! I’ve been glued to the Olympics, and to Simone of course 🙂 But what a great way to couch what what we need do as entrepreneurs! Really motivates me! The whole Olympic program has been so fascinating to watch. Especially, since Brazil was facing so many problems getting things ready and also dealing with the Zika condition. Hats off to all those athletes who are there to complete under additional trying circumstances. That’s really motivating for me. So pleased you made this comparison between outstanding athletes and running a business or anything else we wish to do in life where we want to excel. I also think we have other lessons, such as repetition, consistency, dedication, being coachable, dealing with obstacles & disappointments, support to name a few. We learn skills for one area of life that becomes transferable to other areas & we bring the same habits and brain to it. Roz, you’re so perceptive. Yes, there are all those things (couldn’t write about all of them, else you would be all reading a very long post). And, the best idea is to take what we learn in one area and apply it to another. In the vernacular of the Internet – we need to “repurpose” what works. Thanks for sharing Roz.